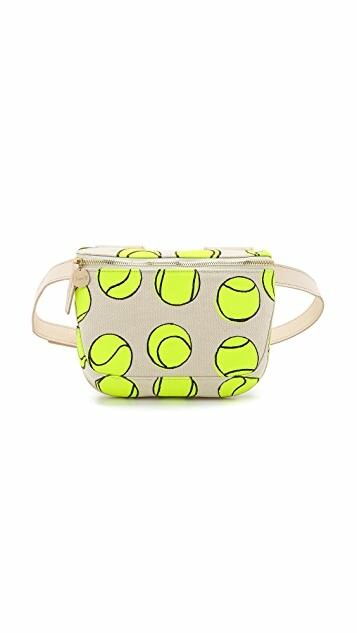 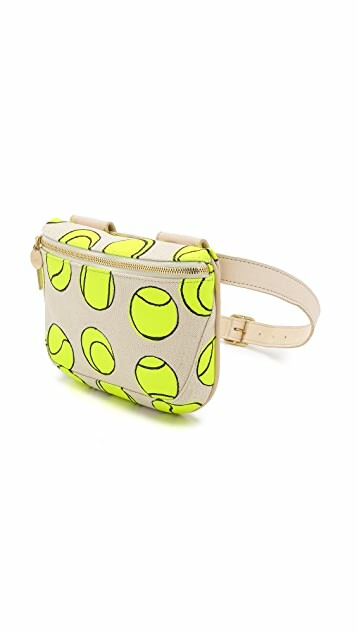 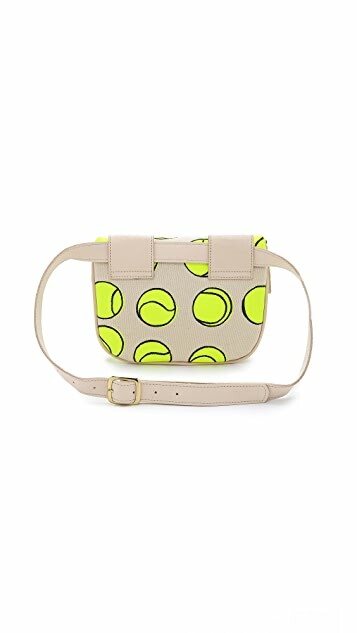 A bright tennis ball print lends an eye-catching look to this Clare V. fanny pack. 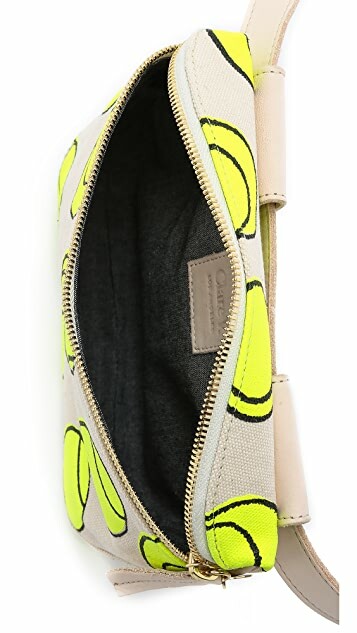 The wraparound zip opens to a chambray-lined interior. 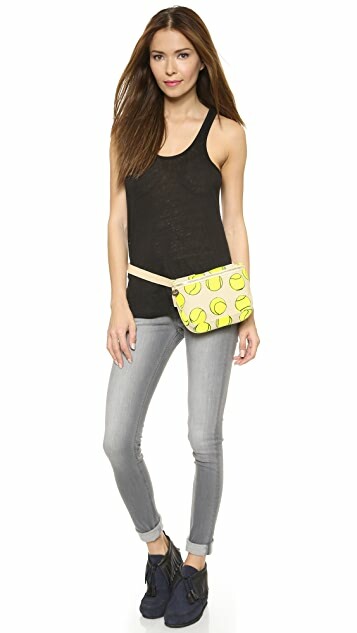 Adjustable leather belt.